Since 2001, Routes Business Training Center has supported employers and employees in closing gaps through technical, leadership and behavioral training programs. Applying a Competency Based Approach in training, we assist in identifying the training needs, as well as assisting supervisors by providing tools to evaluate training effectiveness and impact. A training environment that is friendly yet highly professional. Administrators and Trainers who listen to your needs and manage to orient you so you can achieve your goals. 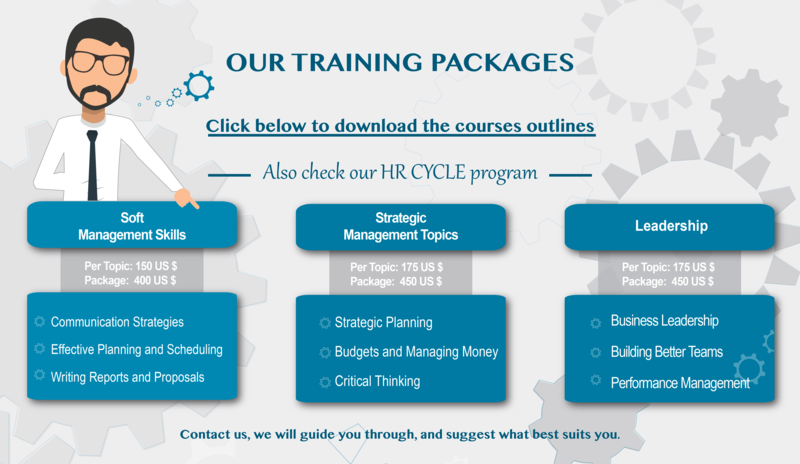 Training programs that are affordable to both individuals and companies. Consultative trainers that provide real life expertise when discussing cases. Highly organized trainings with a special branding feel. Workshops in Leadership, Managerial Skills, Human Resources, Sales and Customer Service, and Social Media. International Certifications in Business Administration, Marketing and Accounting. Simulation programs with hands on experience.